Longtime Colorado School of Mines coach and administrator Marv Kay has been announced as a member of the Colorado Sports Hall of Fame's Class of 2019. Kay will be joined in this year's class by Olympic gold medalist swimmer Missy Franklin, Nordic combined silver medalist Todd Lodwick, former NFL standout Daniel Graham, longtime Wray High School wrestling coach Bob Smith, and track standout and Special Olympics and Paralympics contributor Tom Southall. They will be inducted April 3 during a banquet at the Hilton Denver City Center. Already a member of the Mines and RMAC Athletic Halls of Fame, Kay has been one of the most influential individuals in Colorado School of Mines athletics during his more than 40-year career. Literally born on campus, Kay has spent a lifetime as a student-athlete, coach, administrator, fundraiser and professor at Mines. As a student-athlete, Kay competed in both football and wrestling, and was an all-American lineman in football. After graduating with a degree in engineering in 1963, Kay served in the U.S. Army Corps of Engineers for two years before returning to Mines to coach swimming and football, and eventually became the head football coach in 1969. Over the next 26 years, he won a then-school-record 84 games (he still ranks second) and was the RMAC Coach of the Year in 1975 and 1979. In 1995, Kay became Director of Athletics at Mines, a position he held until 2004. Under his guidance, the department began its journey to becoming one of the most successful in NCAA Division II as he laid the groundwork for the program's successes of the 2000's and 2010's, including transformative facility improvements. 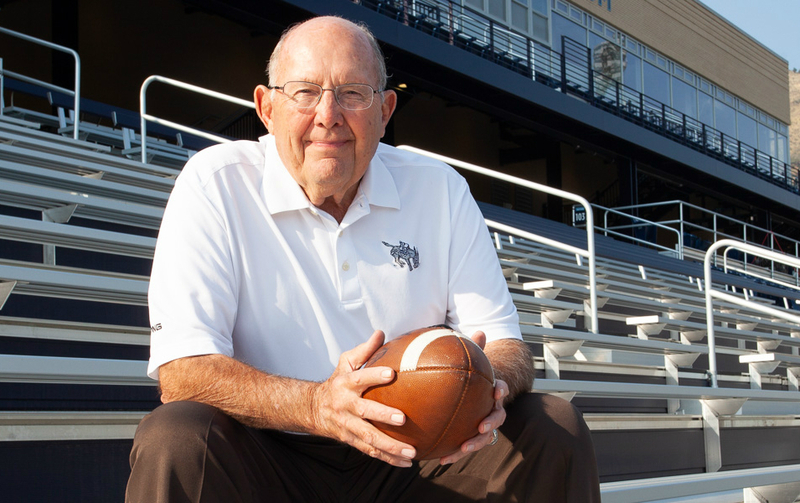 Since retiring as athletic director, Kay has continued to serve Mines as a fundraiser with the Mines Foundation, where he has been instrumental in helping Mines construct the Clear Creek Athletic Complex and increase scholarship funding. He received the Mines Medal, for distinguished service, in 2003 and was named the Faculty Senate Distinguished Lecturer in 2004. Kay has also been influential in the community; he served as the mayor of Golden for eight years and on City Council for 12, and has been involved in many civic organizations over the years. Perhaps the most enduring symbol of Kay's influence is the stadium that bears his name. Marv Kay Stadium opened in the fall of 2015 as the playing home of Mines football, and its strength and condition and athletic training centers have positively impacted all 18 Oredigger teams. The approximately $21 million stadium rebuild was funded through alumni donations in honor of Kay's legacy as a coach and educator. Since opening, Mines football holds a 17-2 record at home, one of the best home-field advantages in college football.